If you have already some eye tracking experience this “peep under the hood” will give you some ideas to help you make the best use of your equipment and time, by discussing good practices, evaluating existing tradeoffs and dealing with different problem sets. 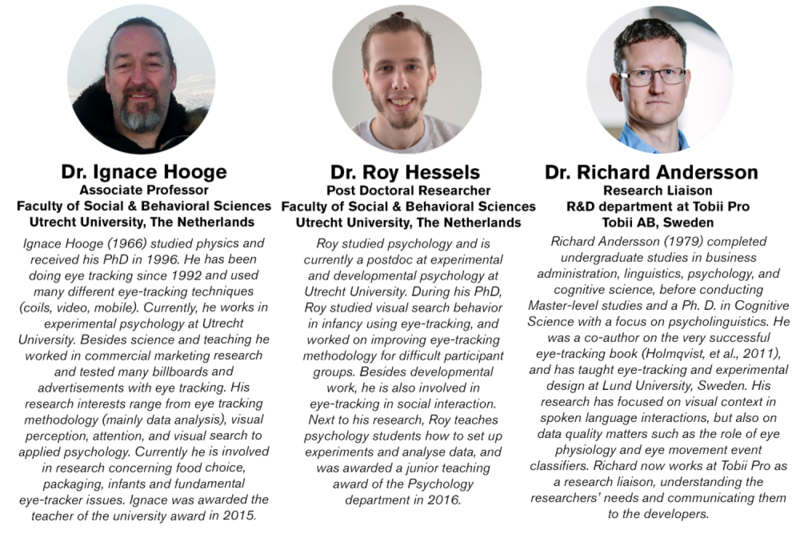 If you’re just starting or struggling with an eye tracking study, you’ll see a structured treasure trove of practical advice and techniques that will guide you through what you need to do, to get your study on the right track. During the course we will encourage you to submit a short description of a study you intend to do, or that you are working on, as well the main challenges you are encountering. We will then use day three of the course to apply what you learned and address those challenges.